When photographing buildings it is sometimes necessary to use a wide angle lens or the wide angle end of a zoom lens. This allows you to include much more of the scene than is possible with a standard focal length. The problem with this is that the verticals are distorted making the building look as if it is falling inwards. I corrected the verticals in Photoshop using the distort feature in the edit/transform/distort menu. This is a correction which is best done ‘by eye’. Stretching horizontally of the upper parts of the photo alone appears to lower the height of the building so stretching upwards as well will give a more natural look. Leaving a little ‘leaning’ in the building also looks more natural because we expect this in a photo. Before the arrival of Photoshop a special camera with a lens on a bellows was used to correct verticals. This was done by tilting the lens but not the camera body so the correction was ‘in camera’. 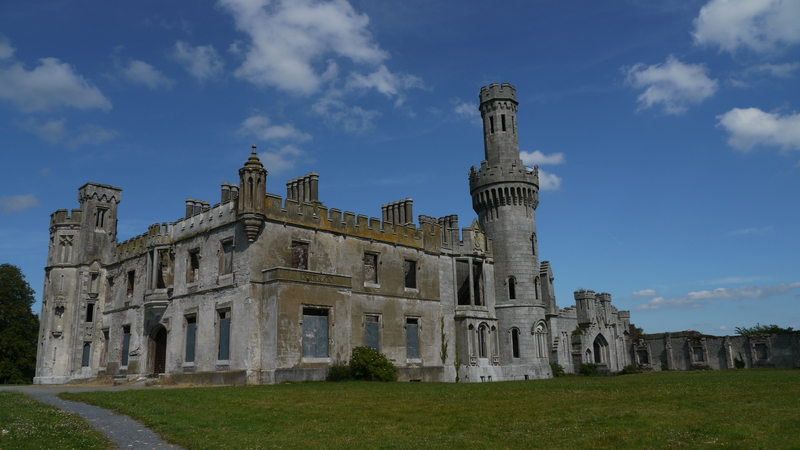 The building is what is left of Duckett’ Grove. After extensive and sensitive restoration, by Carlow County Council, the revived walled gardens and wooded pleasure grounds are now open to the public. 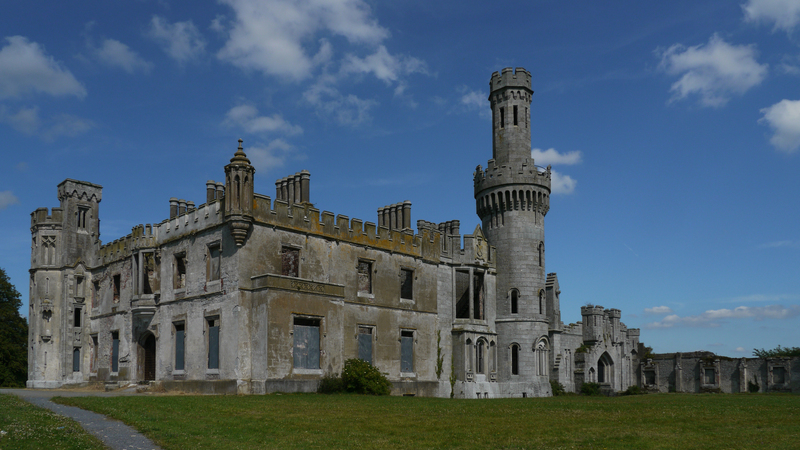 In his book A Guide to Irish Country Houses Mark Bence-Jones describes Duckett’s Grove as a “square house of two and three storeys, transformed into a spectacular castellated Gothic fantasy by Thomas A. Cobden, of Carlow, for J.D. Duckett 1830. Numerous towers and turrets, round, square and octagonal. The walls enlivened with oriels and many canopied niches sheltering statues; more statues and busts in niches along the battlemented wall joining the house to a massive feudal yard gateway. The house was burnt in 1933 and is now a ruin”. This entry was posted in Photography and tagged Correcting verticals in photographs, photography, photoshop. Bookmark the permalink.